Mission Possible is a new Postdoc Journal feature highlighting the vibrant diversity of mission-driven science across the laboratory. Postdocs at Argonne perform world-class research that seeks to address the grand challenges of energy, the environment, technology and national security. One striking revelation to anyone who visits or is new to the laboratory is just how diverse, skilled and comprehensive our research efforts are. As a laboratory of scientific excellence we have postdoctoral scientists, engineers and researchers from every discipline and reach of the science, technology, engineering and mathematics (STEM) fields across four laboratory directorates and 14 research divisions. In upcoming issues, we will profile postdocs from different divisions and how their research pushes the limits of fundamental science, applied science and engineering. This quarter, postdocs from the Environmental Science Division (EVS) talk about their work as it relates to the grand challenge of sustaining a healthy environment. Argonne is a leader in ensuring our nation has a secure and plentiful supply of safe, sustainable energy. By pursuing results-driven research Argonne’s postdocs are helping the laboratory pave the way to a better tomorrow. Samrat Saha (EVS) is a postdoctoral researcher based in the Ecological Assessment and Measurement Team at Argonne. He has been with the laboratory for three years. 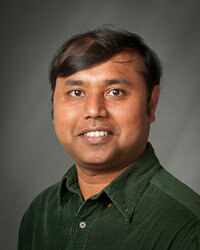 Saha received his Ph.D. in Environmental Science from Tennessee Tech University in 2007. His academic background focuses on aquatic ecology. Saha seeks solutions to preserve biodiversity. His current work engages him in a wide range of environmental research. Saha’s work is intimately related to the Energy-Water Nexus, a field of research that explores the relationship between how much energy it takes to produce clean, potable water and how the production of energy requires large amounts of water. This relationship or nexus between these two precious resources is inextricable in environmental studies. Saha seeks to find the proper balance between the two. Protecting our environment while ensuring our natural resources are available for future generations is a major component of the laboratory’s mission and Saha’s research work. The nation’s energy security is dependent on understanding and managing the Energy-Water Nexus that Saha’s pioneering work encompasses. One of the many projects Saha is working on deals with the development of decision-making tools to consider environmental impact during hydro-power planning. “Conventional hydro-power operations can significantly alter the river flow,” says Saha, “this is the main driver of ecological interactions among the biota and their habitats.” Biota are the total collection of organisms of a geographic region or a time period. Currently, river flows in almost all the rivers in the United States and the world are being regulated. However, there are no planning tools available in the market that explicitly considers multiple and often conflicting environmental objectives during hydro-power operations. “A dynamic integrated tool set is required,” says Saha. This new tool set will help to address the challenges of providing viable and implementable solutions in a progressively water constrained environment and competitive power markets. Stakeholders can then make informed decisions based on identified trade-offs. This water-use optimization tool set will empower stakeholders, address these issues and help manage freshwater and its dependent resources sustainably. The research Saha is performing is funded by the U.S. Department of Energy’s (DOE) Energy Efficiency and Renewable Energy Project. Saha’s comprehensive environmental analysis seeks to resolve the missed opportunities between energy consumption and water-use planning. Energy development and creation has a significant long-term environment footprint, especially on freshwater environments. Saha seeks to ensure water-use-planning tools are used in every way possible so the relationship between energy and water is not compromised. “The energy sector is responsible for the largest water use in the United States” says Saha. “It is imperative that water-use planning is done in a way that is sustainable in the long-term.” DOE’s funding of sustainable energy development and the Department’s core mission areas of environmental quality and energy security acknowledge these concerns. 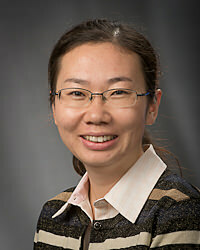 Jiali Wang (EVS) is a postdoctoral researcher in the Environmental Science Division (EVS) at Argonne. Wang received her Ph.D. in Atmosphere Science from the Institute of Atmospheric Physics at the Chinese Academy of Sciences in Beijing, China. Her research focuses on the impact of urban land use on the diurnal variation of atmospheric variables. This influential analysis addresses one of the biggest grand challenges in science: climate change. As the earth becomes more populated, people will use more natural resources affecting our environment in numerous ways. Wang’s research studies these environmental changes from multiple vantage points. She is actively engaged in exploring the basic laws governing atmospheric motion, physical and chemical processes in the atmosphere, and the interaction between the atmosphere and its surrounding environment. “I investigate how the urban land use affects the diurnal variation of atmospheric variables, for example, precipitation, near-surface wind and temperature,” says Wang. Wang has analyzed the observational data sets over the Beijing metropolitan area to explore the climatological features of diurnal variation. She has used regional climate models to better understand the climatology over this rapidly expanding metropolis. Beijing is an ideal city to study the environmental effects of people on the urban landscape, their use of natural resources and how this affects climate change. Wang’s desire to advance her research eventually brought her to the United States. “My husband and I decided to pursue our scientific career in the United States,” says Wang. “We wanted to improve our research capability in a country that has the most advanced science and technology programs.” Their journey led them inevitably to the world-class facilities Argonne offers. Wang is using the resources at Argonne to super-charge her research. Wang’s research is funded by the Strategic Environmental Research and Development Program, which focuses on the impact of global climate change due to the increase of CO2 and other greenhouse gases in the atmosphere on the regional- and local- scale climate over the United States. “We are also focusing on the features and the changes of extreme events such as heat waves, floods and tornados,” says Wang. Using advanced climate models such as the Nested Regional Climate Model, her work aims to investigate the climate changes in annual, seasonal and daily scales in the past, present and different scenarios of the future over North America. By running these models, Wang helps the laboratory and our nation understand how our climate looks now and in the future due to the choices we are making today. Her work is uncovering how humans affect the environment by energy creation and use of natural resources. This work is critical in learning how to become better environmental stewards. 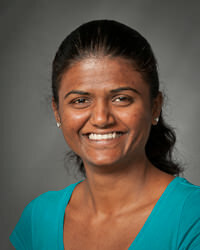 Vani Starry Manoharan (EVS) is a second-year postdoc based in the Modeling and Air Quality Assessment Team at Argonne. She received her Ph.D. in Atmospheric Sciences from the University of Alabama in Huntsville in 2010. The focus of her research is investigating and studying the different types and properties of aerosols using observed data. She then examines how these aerosols affect clouds, precipitation and Earth’s radiation balance. Aerosols are tiny particles that are suspended in the atmosphere. They come from many sources, some human-made and some natural. When aerosols accumulate humans can detect their presence as they scatter and absorb sunlight. Aerosols are believed to be a contributor to climate change. Manoharan’s research is uncovering the mystery behind aerosols and their impact on our environment. Her work is essential to the DOE’s core program in Biological and Environmental research and the laboratory’s mission to develop tools to explore and assess the environment around us. Manoharan’s work is at the center of the laboratory’s mission to analyze how the change in climate can affect biodiversity, the cost of food, our health and even whole economies. She decided to pursue her research at Argonne because it is a recognized institution of excellence. “I was very motivated to apply for Argonne after seeing it in the top institutes for its postdoctoral program in two consecutive years,” says Manoharan. Manoharan is motivated by her inquisitive desire to understand the physics and science behind all the environmental sciences and their related disciplines. Through her exploration of the aerosol-land-atmosphere interaction the laboratory will be able to improve our collective understanding of climate which in turn will empower policy makers to make better decisions for our environment and nation. This entry was posted in Announcements and tagged atmosphere, energy, environment, environmental, excellence, jiali, laboratory, manoharan, mission, mission-driven, saha, samrat, scientific excellence, vani starry, wang. Bookmark the permalink.